Our Heat Illness Prevention campaign, launched in 2011, educates employers and workers on the dangers of working in the heat. 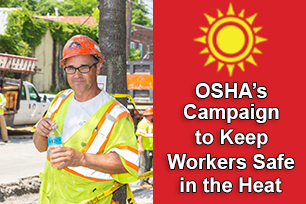 Through training sessions, outreach events, informational sessions, publications, social media messaging and media appearances, millions of workers and employers have learned how to protect workers from heat. Our safety message comes down to three key words: Water. Rest. Shade.